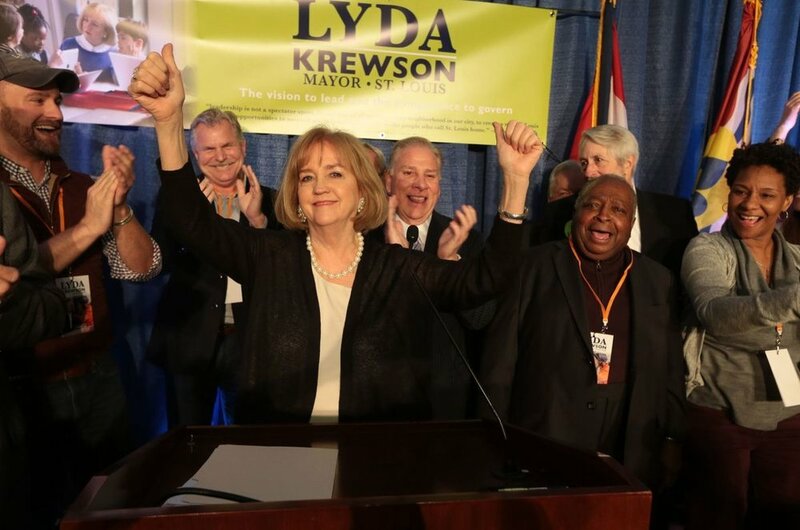 Congratulations to Lyda Krewson, Democratic Candidate for Mayor of St. Louis City! It was one heck of a campaign season. This primary election highlighted key disagreements that exist within our party, as voters were tasked with selecting the candidate who best represented their political and social perspective. Some Young Democrats woke up today proud and excited; others are still feeling the sting of defeat. While this inter-party friction can feel uncomfortable, we should embrace it. It is democracy in its purest form: engaged citizens, supporting the candidates they believe will best govern our dear St. Louis City. I am so proud of the activism that I have seen from St. Louis Young Democrats members in the last few months. You attended mayoral forums and made informed decisions on who to support. Then you made phone calls, you texted, you knocked doors. You stood outside polling locations on a brisk March morning with smiles and stacks of campaign literature. Together, we are paying attention and making our voices heard. Together, we will ensure that our elected officials address the causes we care about. A special congratulations goes out to our endorsed candidates who won their races (Megan Green, Ward 15; Dan Guenther, Ward 9; Sarah Wood Martin, Ward 11; Darlene Green, Comptroller) and to those who ran hard-fought campaigns (Tishaura Jones, Mayor; Megan Betts, Ward 5; Joe Diekemper, Ward 17; and Lindsay Pattan, Ward 19). Now it is time to come together, as members of one strong Democratic Party, and work together to make our City a better place for all St. Louisans. In this spirit of unity, we invite all primary candidates to attend our upcoming meeting on March 14th at 7:00 pm at the Pat Connolly Tavern. Democratic candidates who will be on the April 4, 2017 General Municipal Election ballot, will have an opportunity to share their vision for the future of St. Louis. Thank you for caring. Thank you for taking a stand. The work continues...see you on Tuesday!